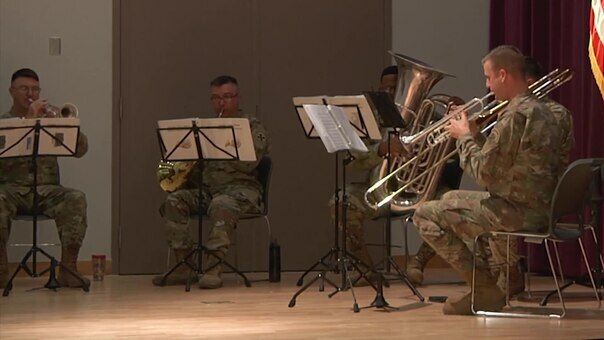 Chaplains, Soldiers, and community members celebrated their respective faiths together during the Commissioning Ceremony of the Camp Humphreys Four Chaplains Chapel. This observance of spirituality also honored the sacrifices of four Chaplains who gave their lives to help save others when a German U-Boat attacked the U.S.S. Dorchester on January 23rd, 1943. This work, Four Chaplains Chapel, by Hana Pong, identified by DVIDS, must comply with the restrictions shown on https://www.dvidshub.net/about/copyright.